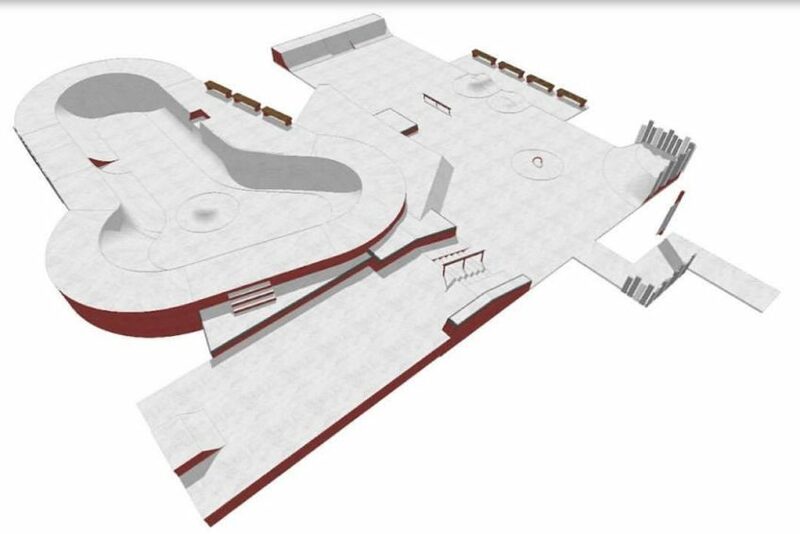 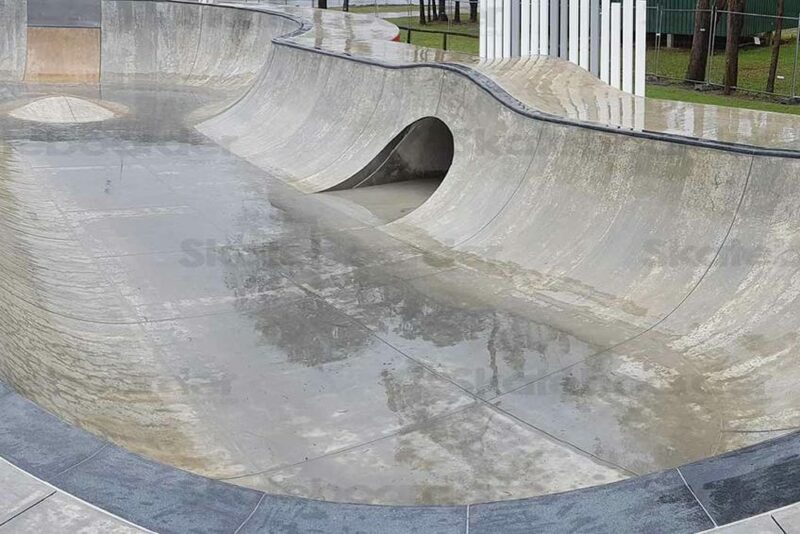 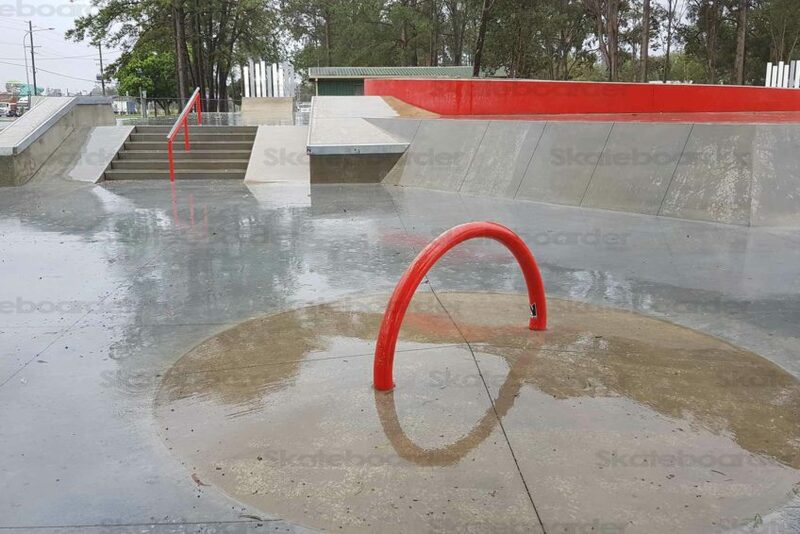 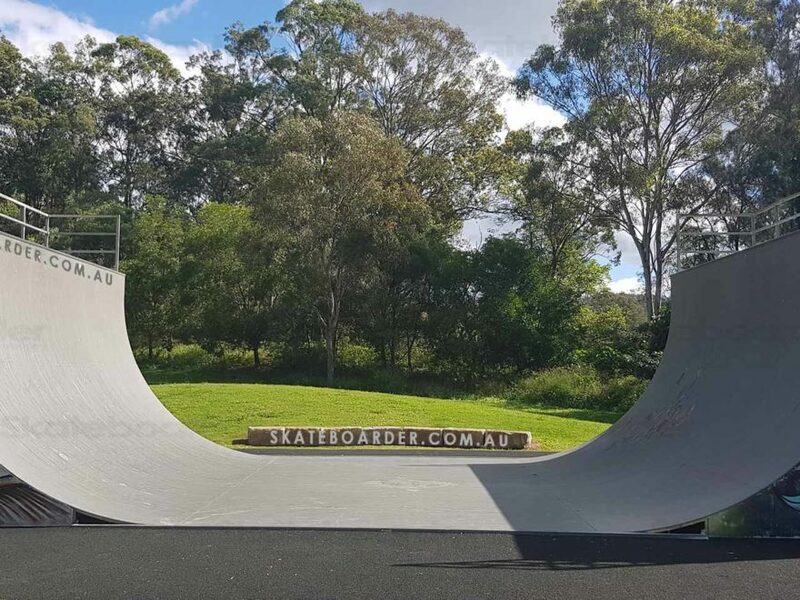 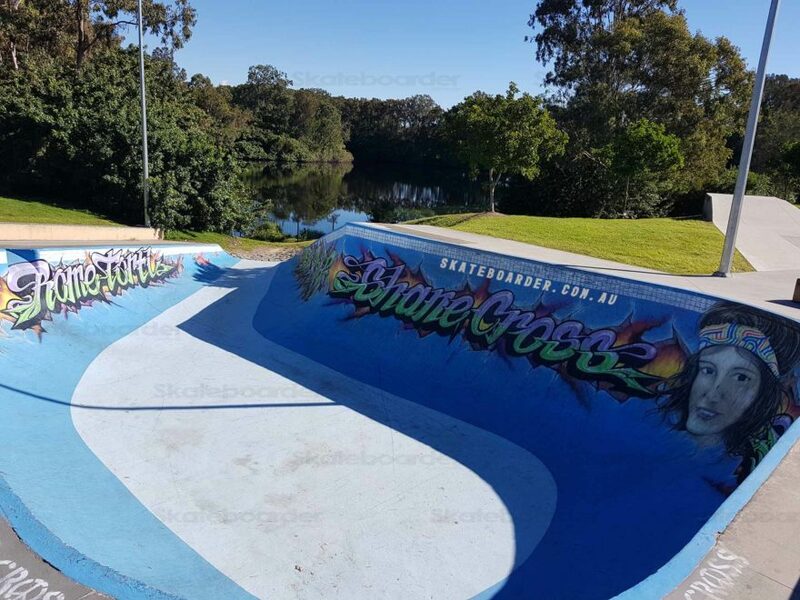 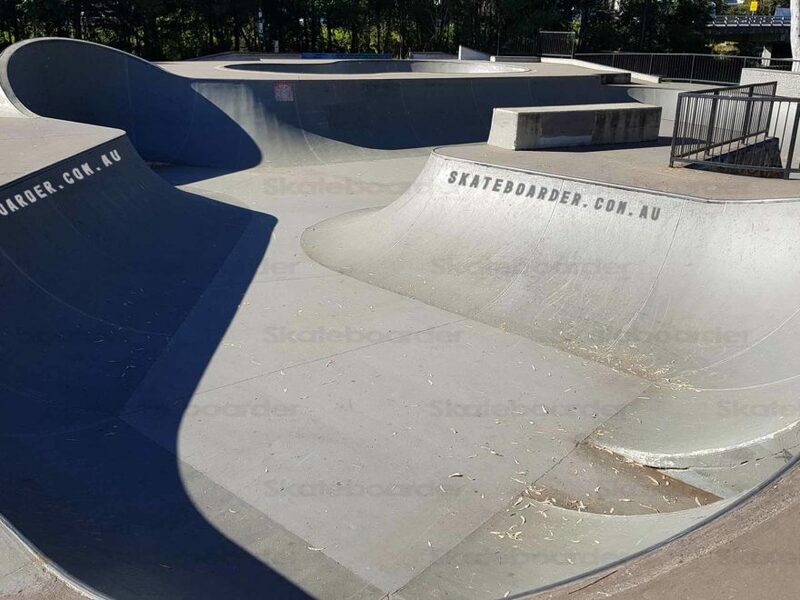 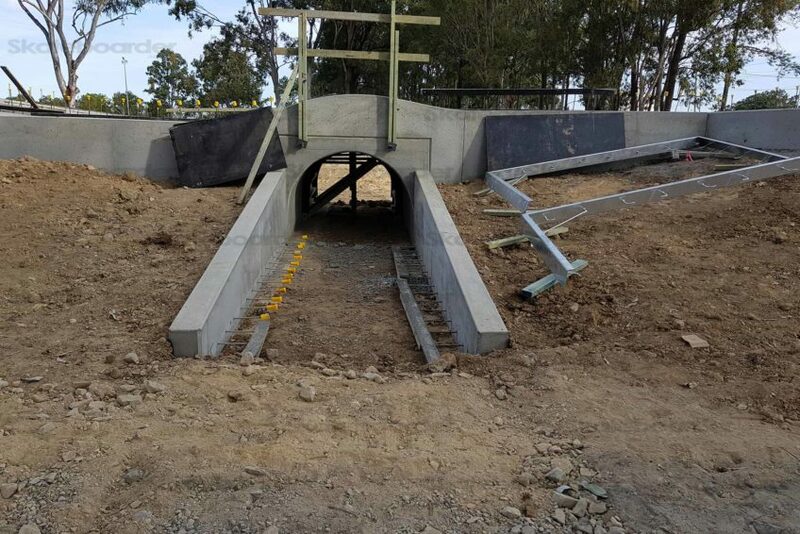 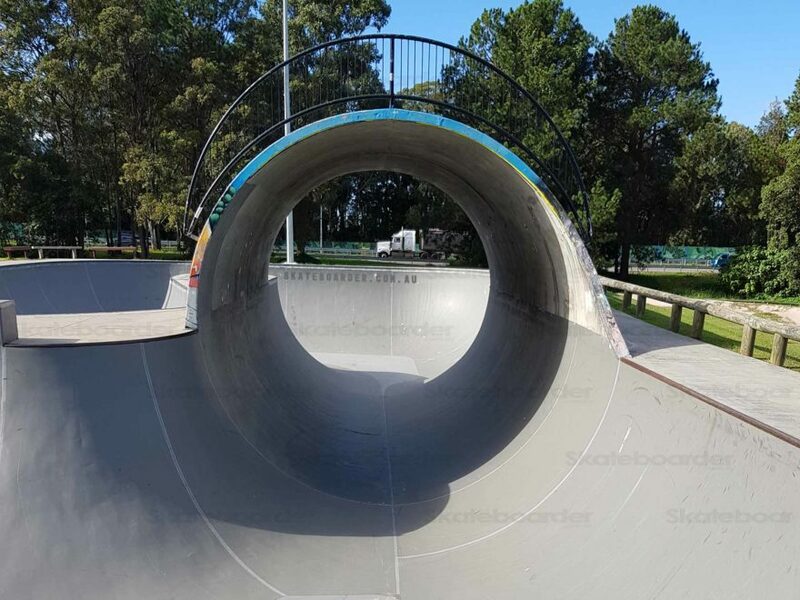 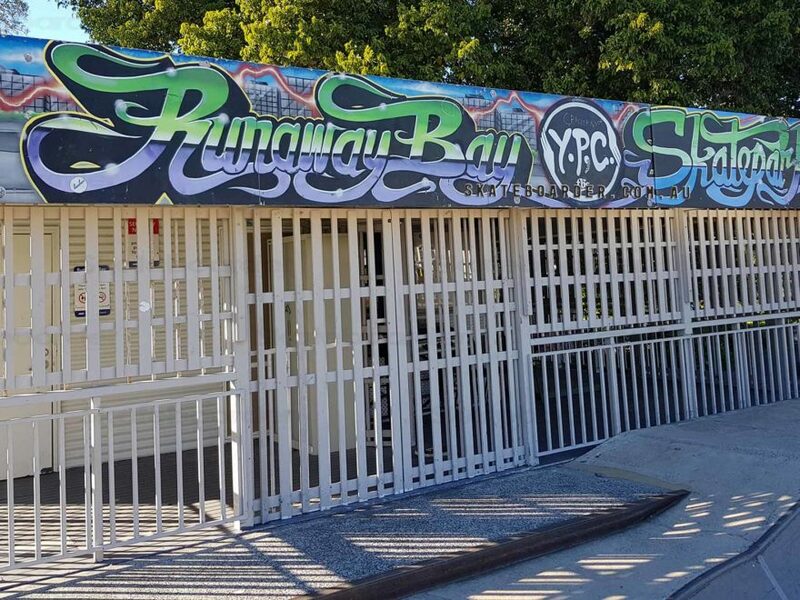 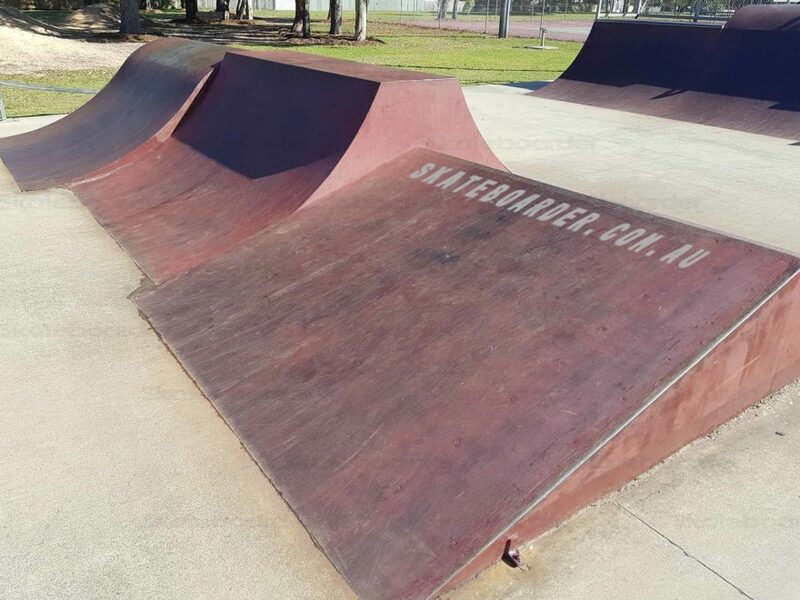 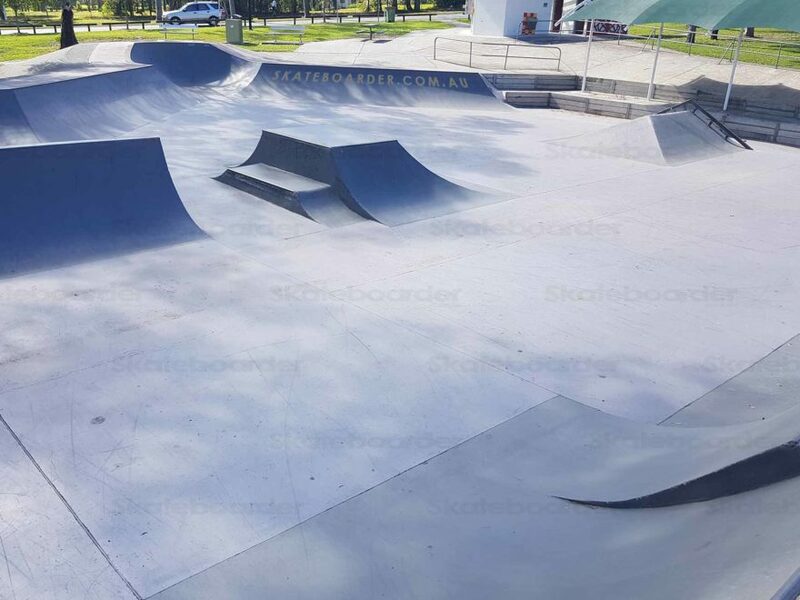 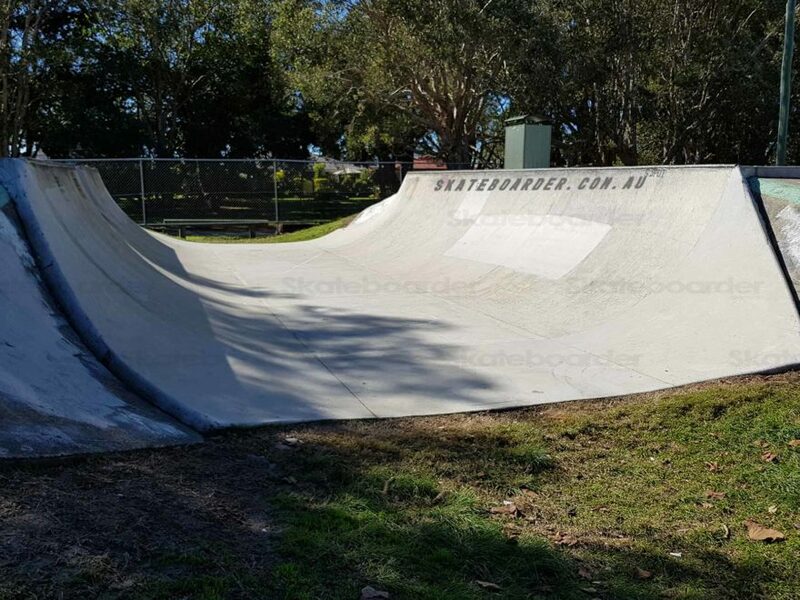 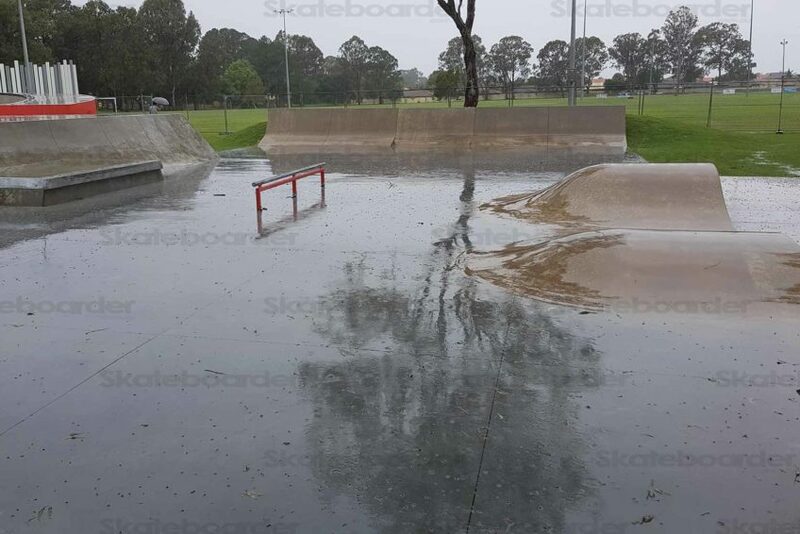 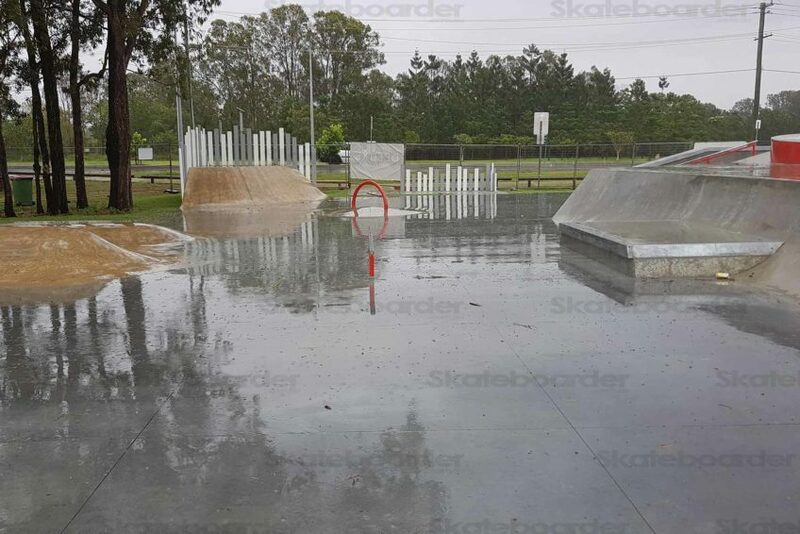 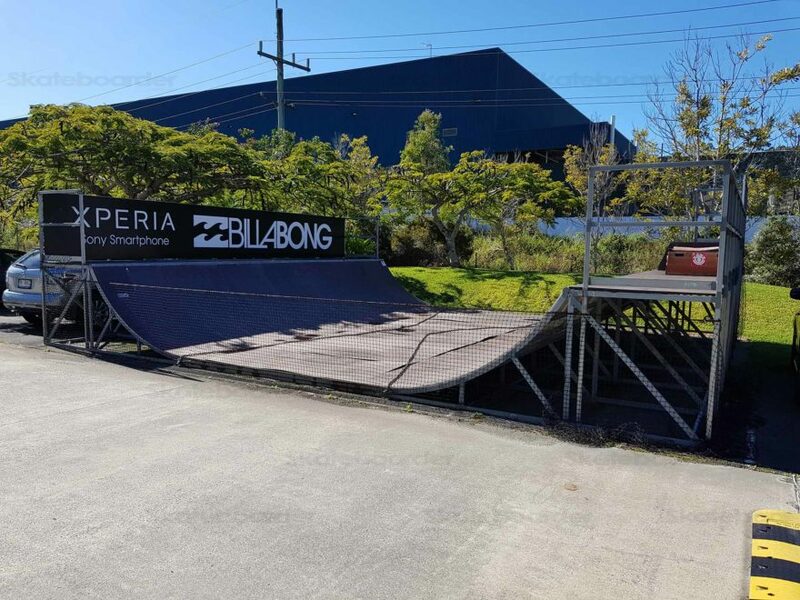 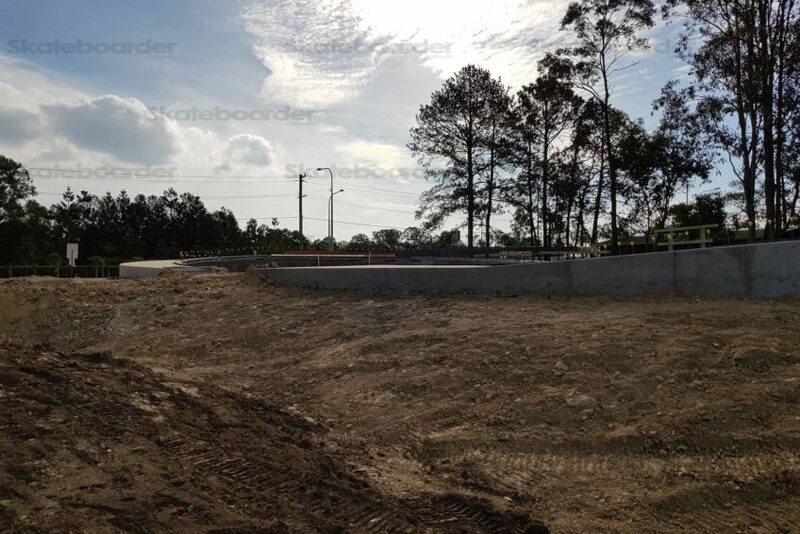 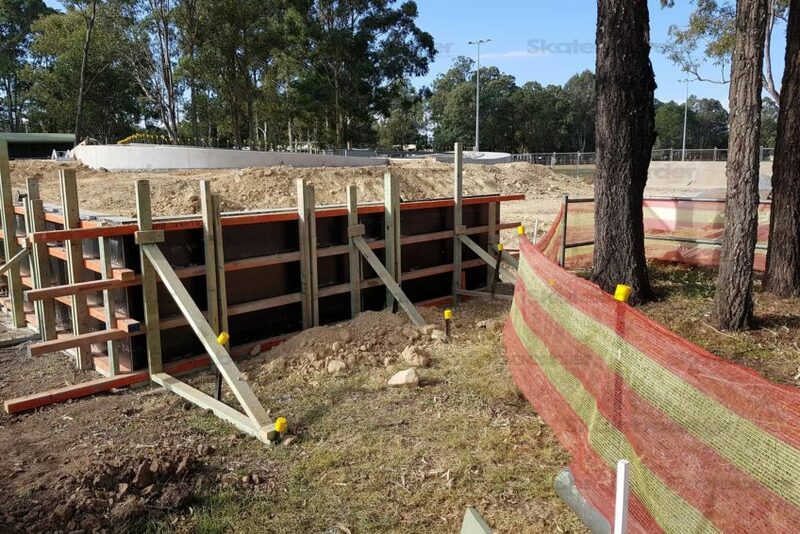 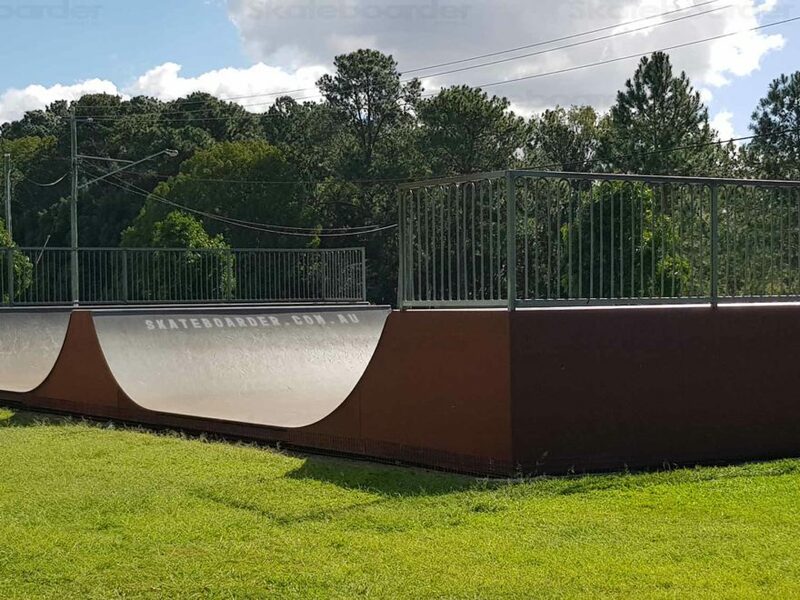 A complete rebuild sees an all new Coomera Skatepark in 2017. 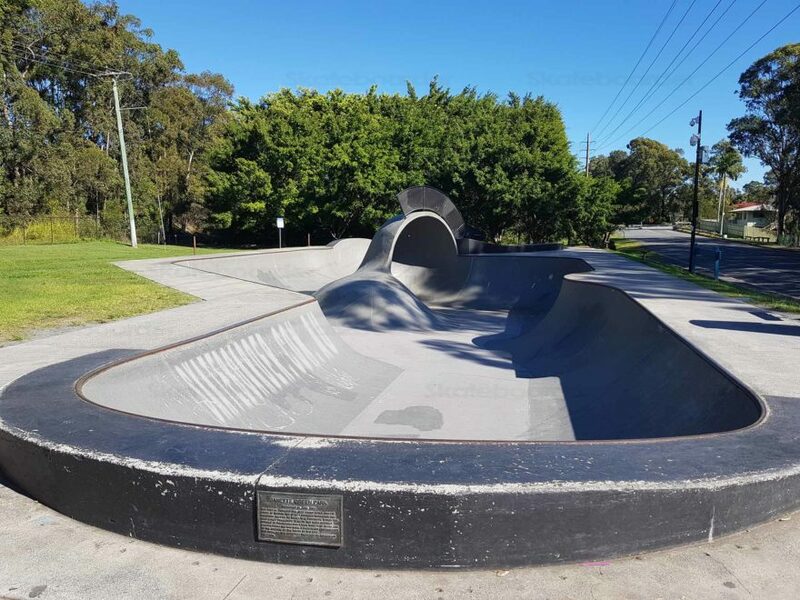 It features a smooth new concrete bowl with a rounded volcano in the base and a keyhole wall opening. 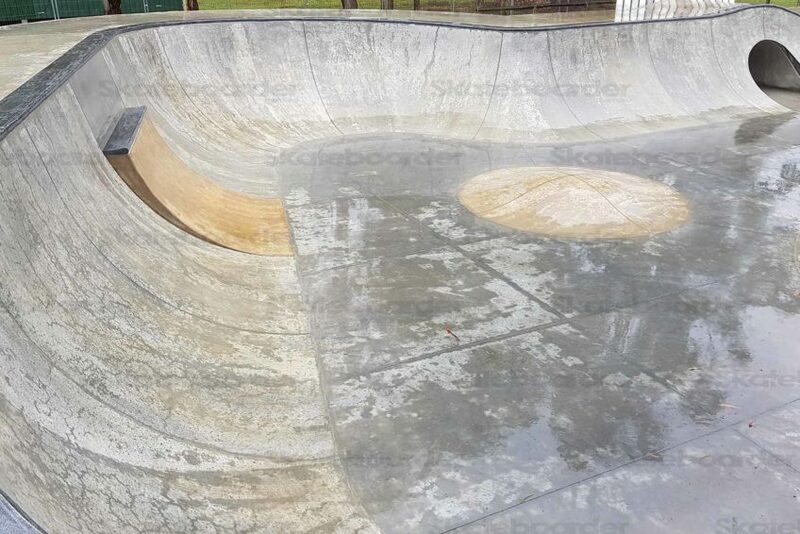 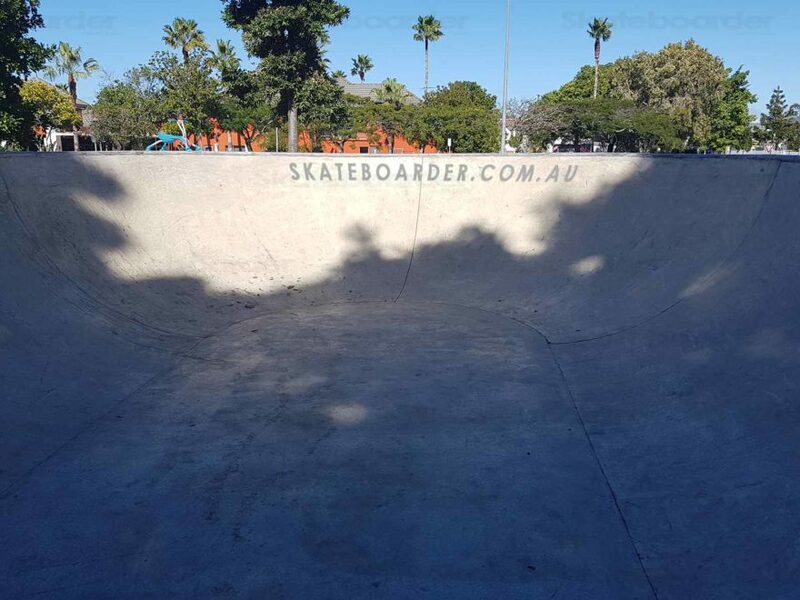 The skate bowl is smooth and fast. 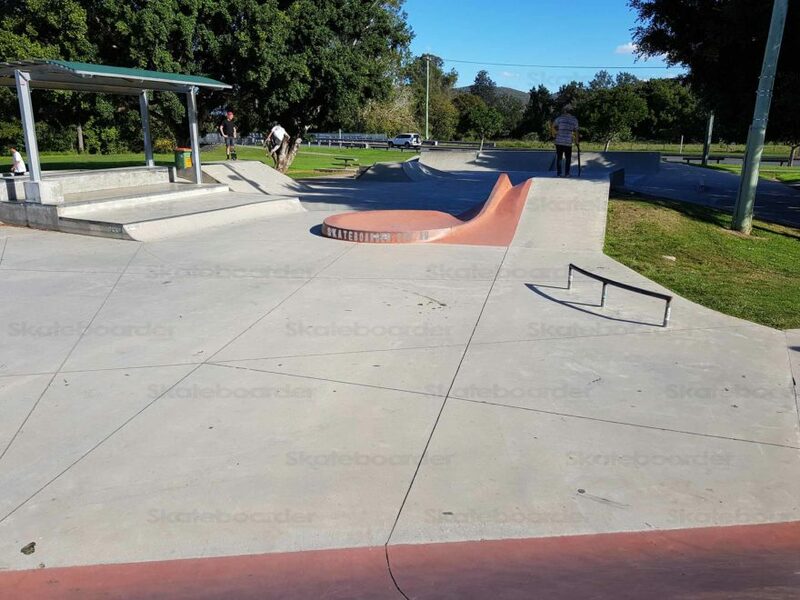 In addition there is a new street section. 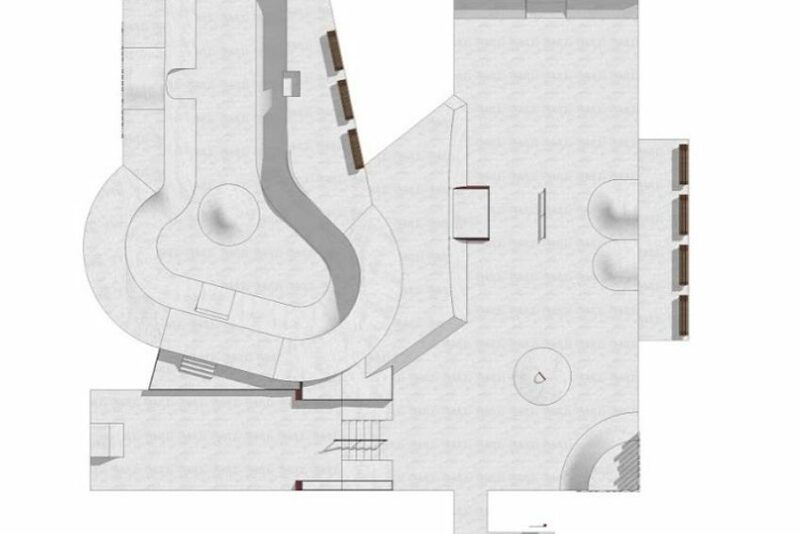 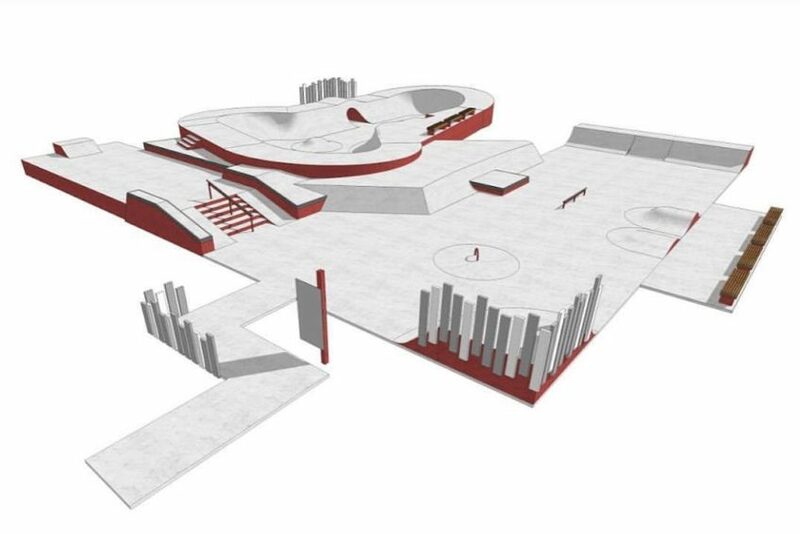 It has a 6 stair and down rail with a flat down hubba. 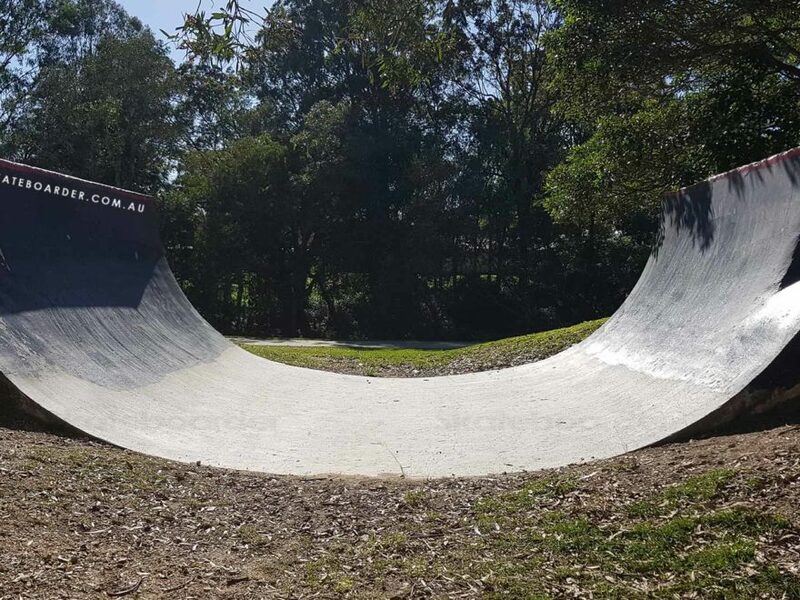 There is a steep bank with hip running along next to the skate bowl. 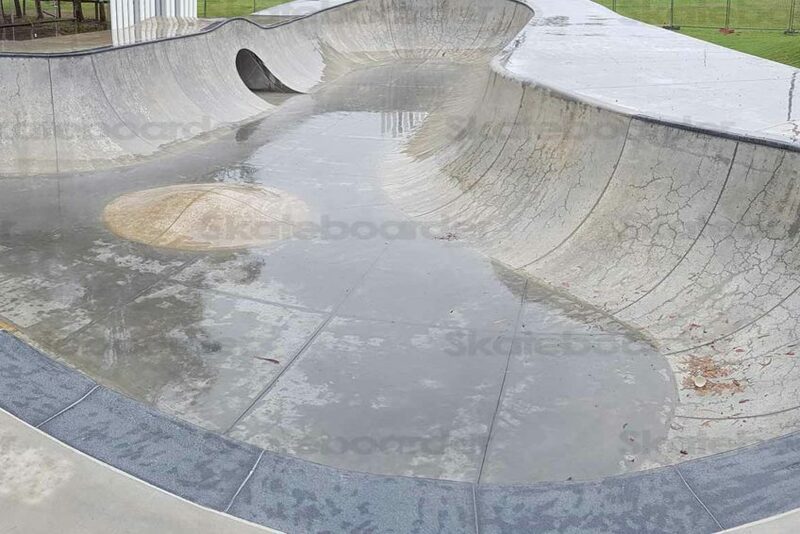 It has a manual pad at the base in the middle. 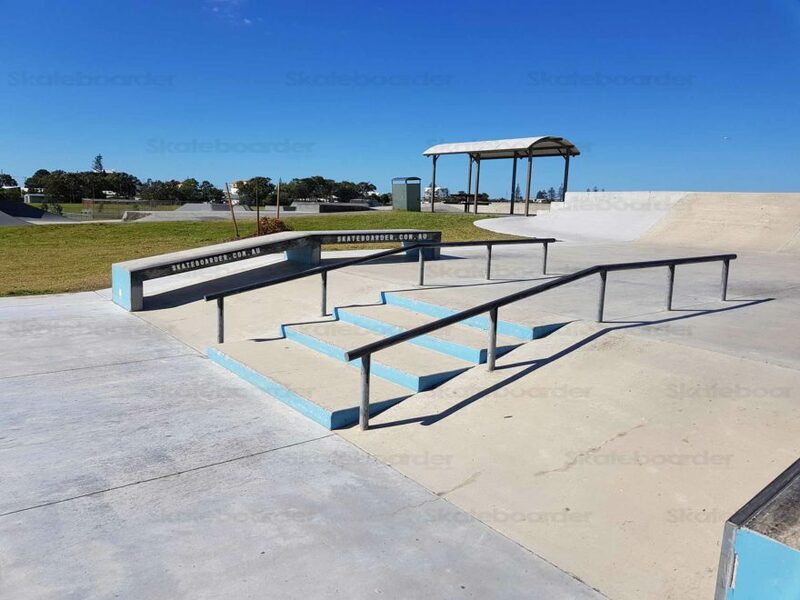 There’s also a flat rail, rainbow rail, quarters, banks and rollovers. 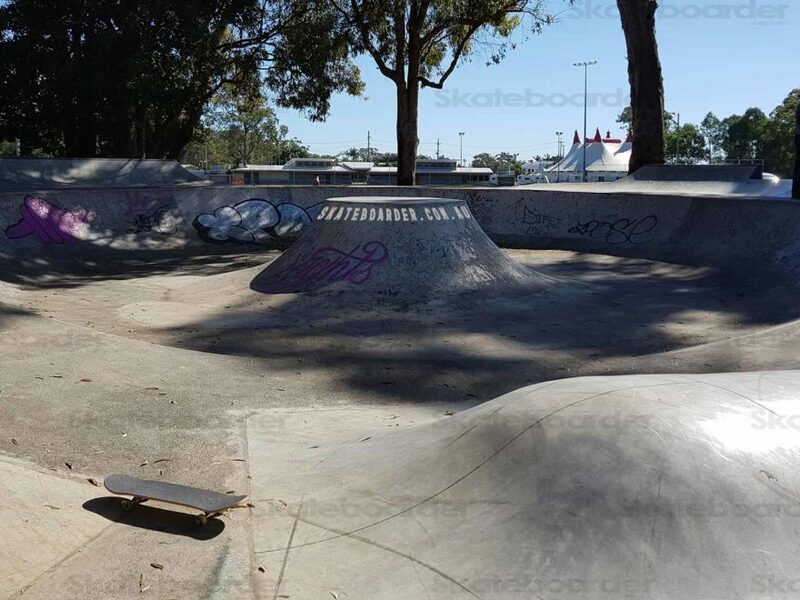 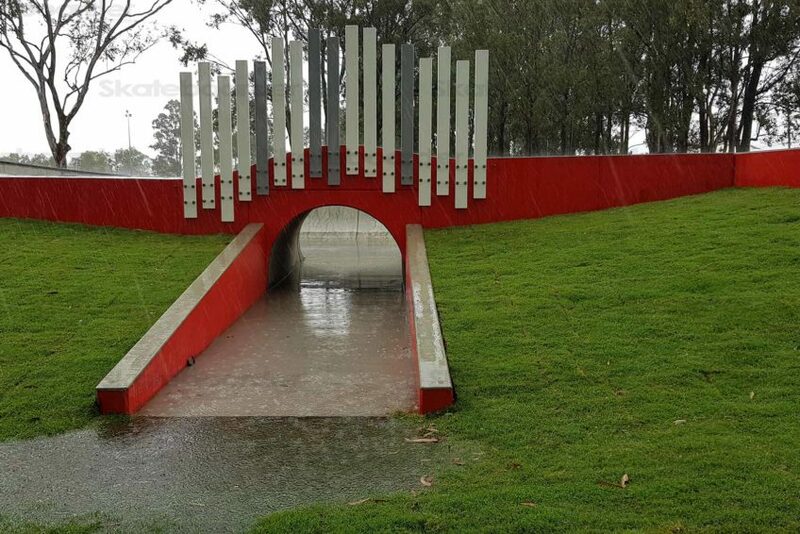 The park is easy to find by car as it’s in the shadows of Dreamworld and Whitewater World. 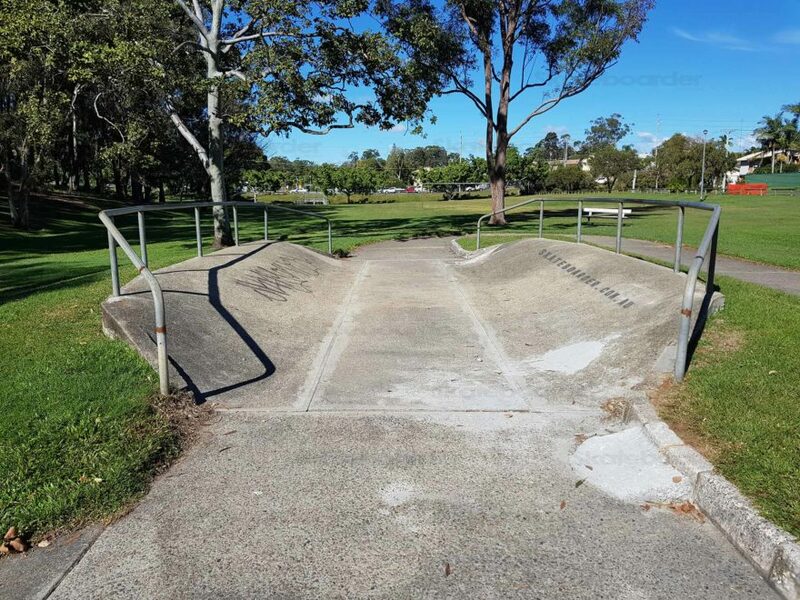 It’s part of a much larger park so there is plenty of parking around. 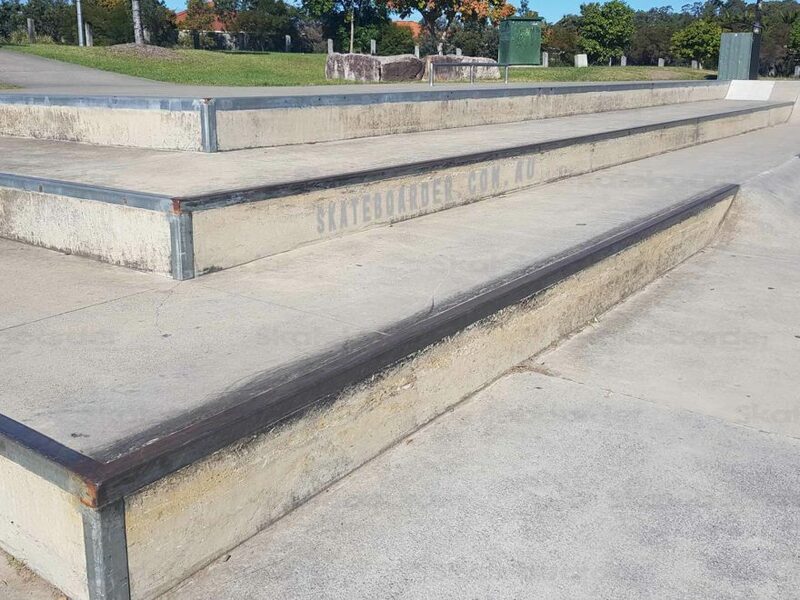 Facilities include toilets and seats. 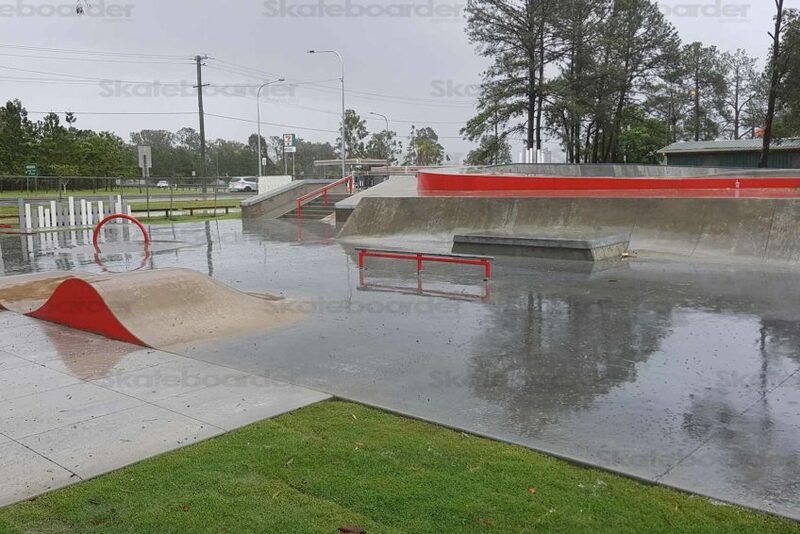 Shops are opposite the park as is the bus stop. 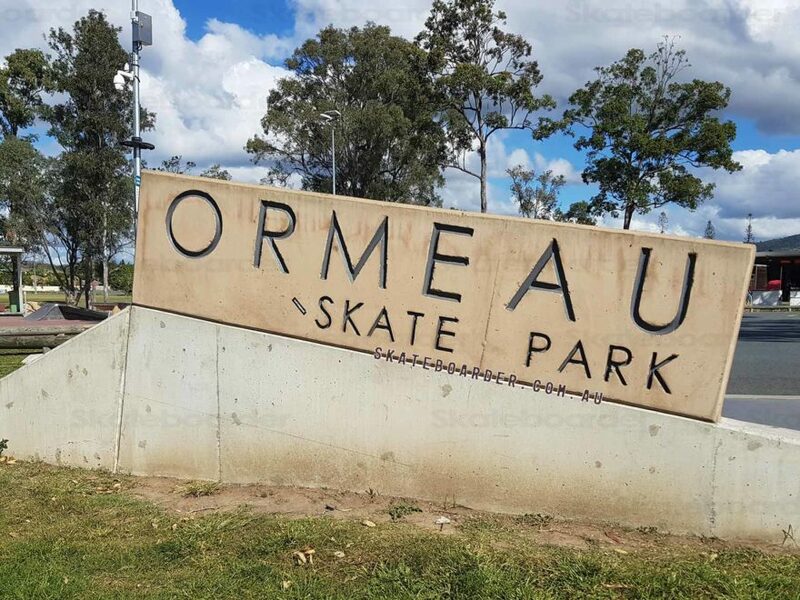 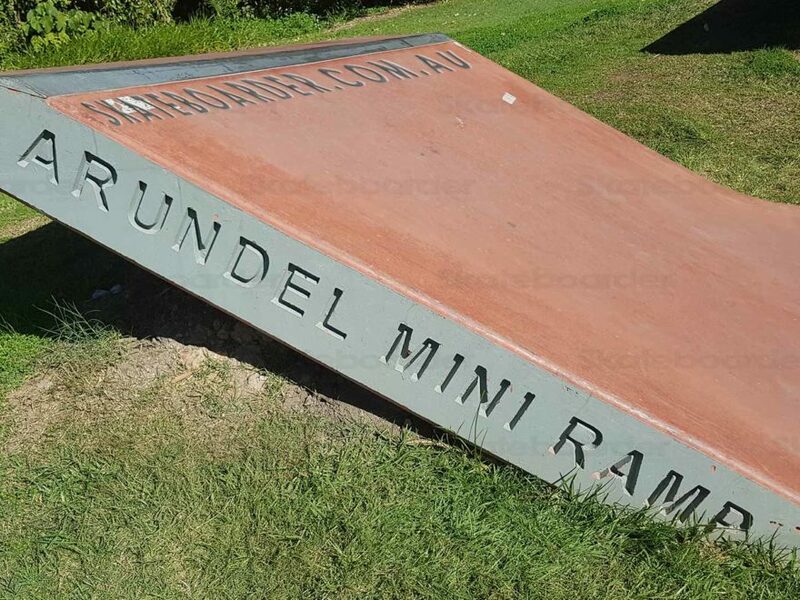 The nearest train station is Coomera on the Gold Coast line and it’s about 2km away. 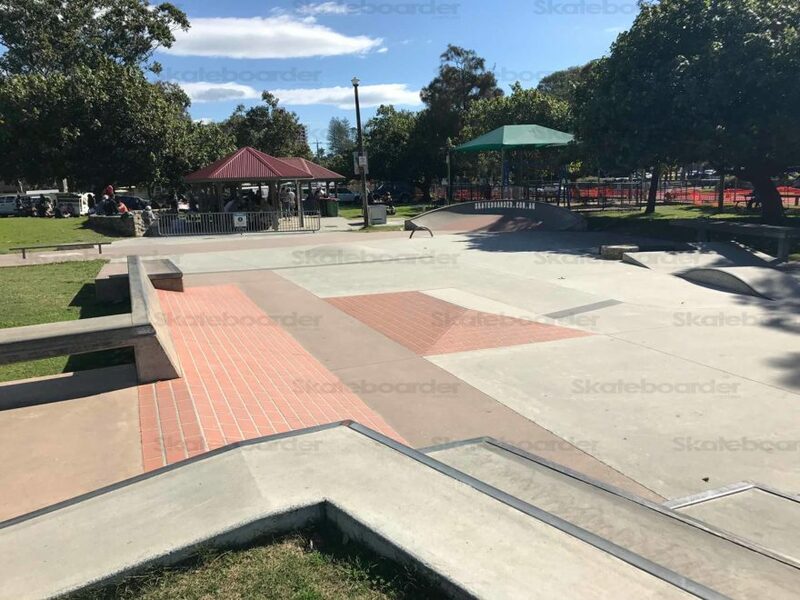 28/10/17 The fences are down and everyone is skating the park. 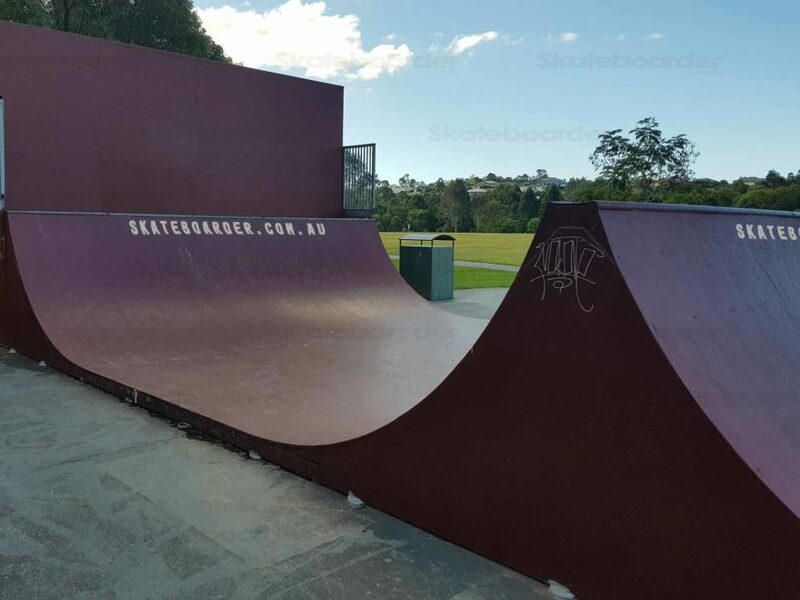 Get shredding..